The timetable below the thematic area list sets out key dates for your attention. The organizers of the 32nd ICP welcome the submissions of abstracts for original contributions to the field in the ICP 2020 thematic areas. 2nd Announcement - Call for Abstracts available in PDF here. 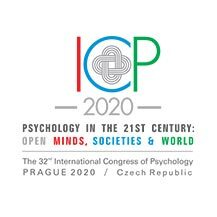 Abstracts for oral presentations, posters, and symposia may be submitted only electronically using the online form on the Congress website www.icp2020.com. In the case that electronic submission is not possible, please contact the ICP 2020 Scientific Committee at email address abstract@icp2020.com. Papers submitted to the ICP 2020 thematic areas will be grouped together by the thematic area chairperson into paper sessions allotted of 15 minutes including discussion. Poster sessions allow presenters and attendees to engage in extended personal discussions regarding presentations that is in paper/cloth or electronical format. NOTE: Participants who wish to submit an individual paper may choose between an oral presentation and poster. Both oral presentations and posters submitted and accepted by the Scientific Committee will be handled within the grouped by thematic sessions category topics and the best effort will be exercised to create groups of presentations related by their themes in order to promote networking among the presenters and their audience and in order to facilitate meaningful discussion As the distinction between oral presentations and posters is only a matter of the presentation mode, submissions in both categories will be assessed by the same scientific criteria. The Scientific Committee will determine the final mode of presentation, also taking into account the quality of the proposals, their relationships, temporal and technical possibilities. A symposium is a focused session in which multiple (3-5) participants present their contributions related to a shared theme. The format of a symposium usually consists of an introduction to the topic by the Chairperson to provide the audience with a background for the ensuing discussion. Participants then present their viewpoints, followed by interchange among participants and between the audience and participants. Often the symposium will end with an overview of the proceedings by the chairperson or a discussant. The abstracts will be accepted in English only. The abstracts will be accepted only via online ICP 2020 Submission form. Abstracts will be made available to the participants in an electronic form. The author is solely responsible for the ethical and scientific content of the submission as well as for its proper grammatical and stylistic form. NOTE: If English in not Author’s first language, we recommend that the abstract is checked by somebody who is fluent in English prior to submission.